A girl's got issues. Break out the tissues. Or, just don't care what anyone thinks! 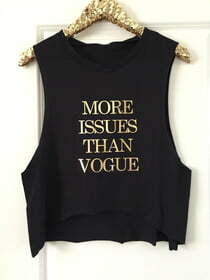 This girl power shirt proclaims a DGAF attitude with its tongue in cheek message "More Issue than Vogue"!